Hisako Kanemoto was raised in Okayama Prefecture and attended Kamogata High School. Upon graduation, she enrolled in the voice acting course at the Vocational School of Art College Kobe. After completing her education in 2008, she moved to Tokyo and joined the training office associated with Production Baobab agency. Early in her career, Kanemoto used the pseudonym Juri Aikawa. She made her anime debut in Sora no Manimani in 2009 under this name. After landing the lead role in So Ra No Wo To the following year, Kanemoto announced that she would be using her real name in her works moving forward. She was also cast as the title character in Shinryaku! Ika Musume later that year. 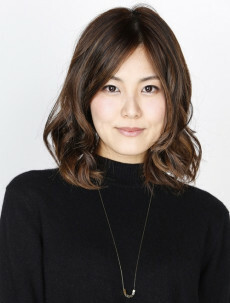 After a breakthrough 2010, Kanemoto was named Best New Actress at the 5th Seiyuu Awards. She has also voiced a number of mascot characters from Okayama Prefecture because of her origin. Kanemoto made her debut as a solo musical artist in 2014 under Victor Entertainment with the album Fantastic Voyage. On May 26, 2018 she announced on her official blog that she will take hiatus from professional activities for studying abroad. Her agency Production BAOBAB also confirmed that she will leave Japan this summer and plans to return to work in March 2019. No details about where she will go and what she will learn are revealed.